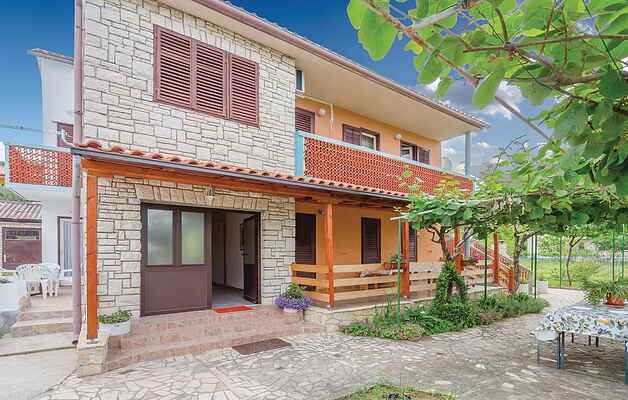 This simply furnished holiday apartments CIO136 and CIO194 are located in a family house in a quiet suburb of Labin, only about 10 minutes by car from the beautiful pebble beaches and the crystal clear sea of the resort Rabac away. The apartments can be booked together for a stay of two families or a group of friends who want to spend their holiday together while maintaining their privacy. At your disposal is also a shared barbecue where you can enjoy the preparation of your favorite dishes. During your stay we recommend a visit to Labin, where numerous cultural summer events take place. You can also take a boat trip from Rabac.